The royal wedding of Prince Harry and Meghan Markle was the biggest day ever for BBC Online with audiences consuming 11.9 petabytes (equivalent to nearly 3 billion photos on a phone with a 12 megapixel camera) of data, peaking at 2.8 terabits per second when people saw their first glimpse of the bride's dress. My colleagues from around the world tuned in to what has been coined as the BBC iPlayer's second most popular event. One CommScope employee admitted to live streaming from a sailing yacht during her holiday. Now that's dedication! One of my favorite pastimes involves watching the FIFA World Cup where 32 nations, including my personal favorite, Nigeria, bring their best footballers together every four years. Given this year's unpredictable outcomes, the global event surpassed streaming records set during the 2014 Rio World Cup with fans across the Middle East and Africa also tuning in via the internet. These types of spikes in online traffic are yet another reminder that broadcasters must ensure their network is speedy, reliable and consistent across all countries. In fact, 60% of 13 to 22 year olds will not use an app or a website if it's too slow to load, according to 'The Generation Z: Study of Tech Intimates,' a survey which includes participants in eight major cities. Some 77% of broadband fixed subscriptions globally are now served by either fiber or cable networks, according to research by Point Topic. The ubiquitous need for bandwidth in our internet-centric world has driven landline networks and wireless networks toward converging. One European electrical utility recognizes the digital economy as a key pillar of future growth and competiveness on the world stage. This company sees the internet as a utility - building and owning an open-access fiber to the home (FTTH) infrastructure and leasing it to partners who in turn, offer retail internet and other services to subscribers. SIRO is the only network in Ireland that uses the existing electricity network to provide fiber broadband to homes and business, enabling speeds of 1 gigabit per second. As the company rolled out its network, they faced the challenge of building fiber to the home (FTTH) on top of a live electrical distribution system. SIRO teamed with CommScope, to provide industry expertise and hardened connectivity products, which reduced costs and protected against the elements. When speaking to network operators, they know the demand for performance will continue, from bandwidth to batteries, across every technological dimension. A brighter future is built on smarter networks - that's why SIRO is using light powered gigabit broadband for homes and businesses across 50 towns all over Ireland. Convergence is improving the ROI of FTTH. As consumer demand for data increases, network operators must increase wireless capacity. The use of multiple communication modes on a single network offers convenience and flexibility that are not possible with separate infrastructures. Networks can and will merge into one, saving operator operating expenses (OpEx) and capital expenditures (CapEx) as equipment requirements also become identical. According to IDC, fiber connectivity is fast evolving as the fixed broadband solution for most households due to increased demand for online content in South Africa. As service providers aim to increase fiber uptake, they will need to ensure they have the connectivity solutions to meet tomorrow's network needs. 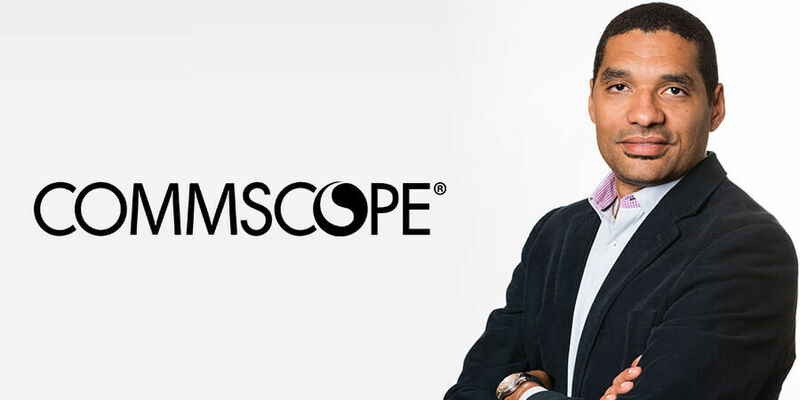 In support of operators in Africa and across the globe, CommScope will demonstrate its latest offerings at the FTTX Council Africa Conference. Come join the conversation and visit us at stand G02, Durban, September 10-12, 2018.